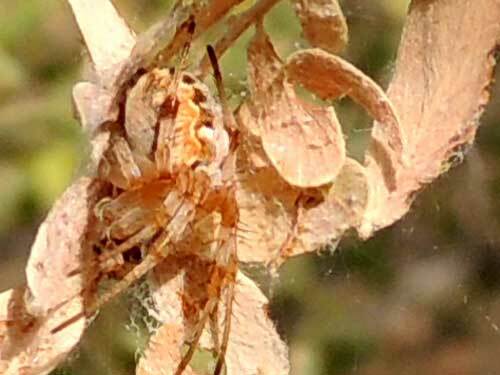 A parasol of silk and dead ironwood leaves protects this spider from intense sunshine. White Tank Mountains, Maricopa Co., Arizona, USA. October 2012. Suspended from branches beneath a large woody shrub in the Sonoran Desert at Harquahala Mountains Wilderness, La Paz Co., Arizona, USA. March 2012. 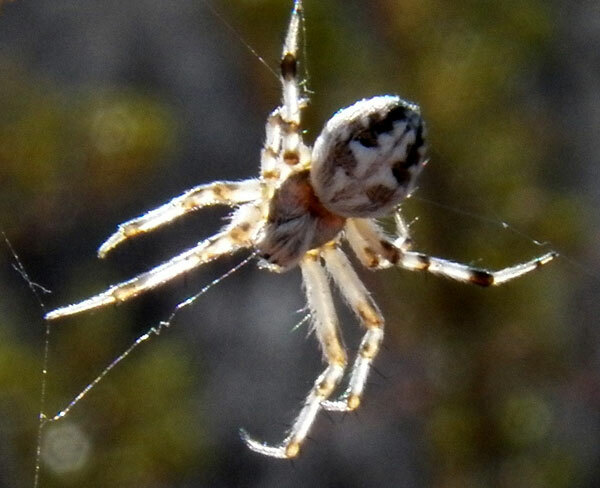 Typical orb weaving spiders belonging to the family Araneidae are of many species and are found especially in temperate regions across North America, Europe and Asia. The quintessential spider's web consists of spokes with a spiraling orb. The plane is typically perpendicular to the ground and the spider can sometimes be found waiting at the center. The spider shown here is taking the web down after and evening of catchment. 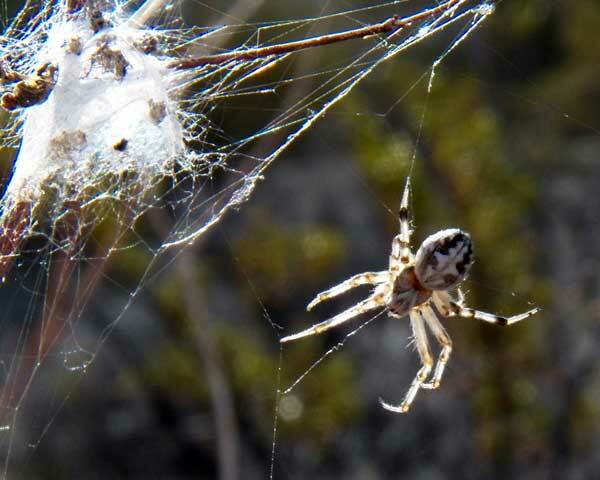 She will eat the silk and reprocess it into silk for a new web to be spun at dusk. Same specimen as shown at left, below.